Welcome to the official "April Colors" 2019 challenge page! See below for the full prompt list, explanations, and a gallery of participant work. Use the hashtag #aprilcolors2019 to be featured on this page, and follow along on Instagram @april.colors and @faunwood! Ghostly – Getting a wispy, smokey, ghost-like texture can be surprisingly difficult! Complementary Colors – Complementary colors are colors that are opposite each other on the color wheel. The goal is to create an illustration or study using a pair of complementary colors. Not Enough Legs – What a travesty! Atmosphere – When I think of atmosphere, I picture mountains and trees fading into blue in the distance (also called aerial perspective). Today, the goal is to practice this technique! 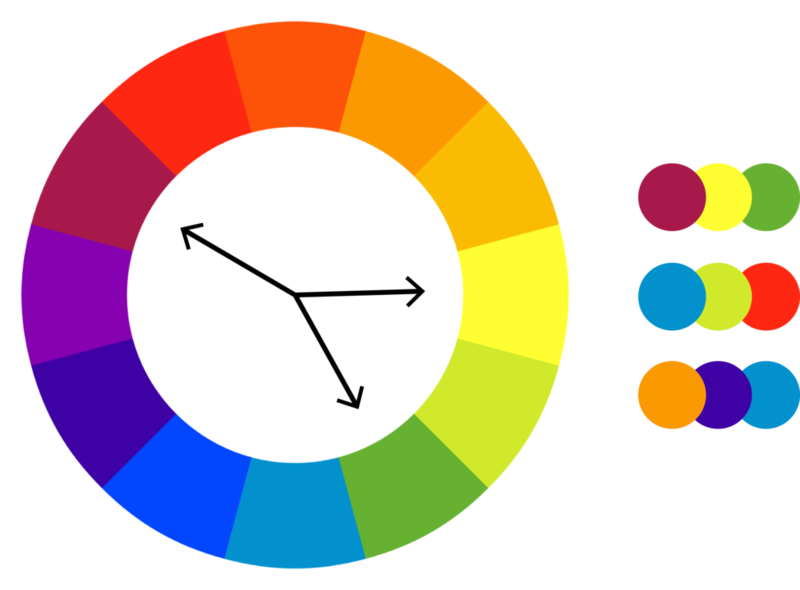 Analogous Colors – Analogous colors are groups of three colors that are next to each other on the color wheel. For example, yellow-green, green, and blue-green! A Fat Birb – If you think it’s round enough, it isn’t. No Blending Allowed – If you’re not someone who does a lot of blending, today will be easy! The goal today is to use swathes of color without blending the edges to create an illustration. Earth Tones – I’m a personal fan of bright colors, but I often wish I were better at using neutrals and earth tones. This is the time to practice that! Eleven of Something – Repetition is they key to improvement. Pick a subject you’ve been wanting to get better at drawing and do 11 small, quick studies of it! Sunset Colors – Self-explanatory! Use sunset colors in an illustration. Mantis Shrimp – The peacock mantis shrimp is one of the most wildly-patterned creatures out there, but there are actually many different types of mantis shrimp to choose from (such as spearing mantis shrimps)! Invent a Plant – Sure, creating your own creature is fun, but have you ever tried inventing your own plant? What color are its flowers (if it flowers)? What climate does it prefer? Is it harvested for any medicinal effects? Or maybe it’s highly toxic? Study an Object – The goal of this challenge is simply to practice studying an object from life. You can choose any random object, as long as you have it in front of you. Maybe pick one that sparks joy. No photos! Cross Complementary Colors – Also called “Split Complementary” Colors. This color scheme is created by choosing a color on the color wheel, and then using the two colors next to it’s complementary color. For example, if you chose green, the complement of green is red. The two colors next to red are red-violet and red-orange. So your split complementary color scheme would be green, red-violet, and red-orange. You can also refer to the graphic on the left for a visualization! The “Wrong” Colors – Illustrate whatever you want to illustrate…. just make sure you DON’T use the “correct” colors! For example, if you were to illustrate a giraffe, you have to use something other than the yellows and browns you would normally use! Color-pick from a Photo – For this day, use a photo to determine your color palette! Unplash is a great resource for artistic and free-to-use photos, and Canva is a great place to upload the photo and generate a color palette! You can, of course, use your own photos but you should ask for permission before using someone else’s photo! Lithops – If I have the power to ask a bunch of people to draw buttplants for a day, I’m gonna do it. If you’re not sure what lithops are, here’s a link. Something Oily – This is a texture challenge– try to render something that looks oily! For an added challenge, you can try a rainbowy “oil slick” look. Triad Color Scheme – A triadic color scheme is created by choosing three colors that are evenly spaced from each other on the color wheel. For example, blue-green, red-violet, and yellow-orange. Geometric – Another self-explanatory one. Just illustrate something geometric (or inspired by geometric design)! Something Fuzzy – Texture challenge! Render all the floof you can! A Color you Hate – You probably knew it was coming. Use a color you hate as the primary inspiration for an illustration. For me, probably a sickly green or desaturated brown. Tell a Story – The goal for this day is to illustrate something that tells a story. It can be a single panel “comic”, sequential, no dialogue, tons of dialogue, whatever you want! Mixed Media – Use two or more combinations of art tools to create something! Some popular combinations are watercolor + colored pencil, graphite + digital color, or pen + watercolor. If you don’t have the means to do a mixed media piece, then practice combining two different application techniques (hatching and blending, or different paint strokes depending on what you’re using)! Landscape/Background – My personal Achilles’ Heel. It doesn’t need to be elaborate, but practice rendering an environment or landscape! If you’re like me and really need the practice, multiple timed studies might be a good way to go. Ornamental – This is a pretty broad prompt, so feel free to illustrate anything that makes you think of the word ornamental! Personally, I think of extravagant birds, like peacocks and birds of paradise.